The blogging is inconsistent, but the work doesn’t stop. Been doing a lot of work on this 1st Place project in the cuts, and am very pumped to throw out the new album/mixtape The Great Boombox. 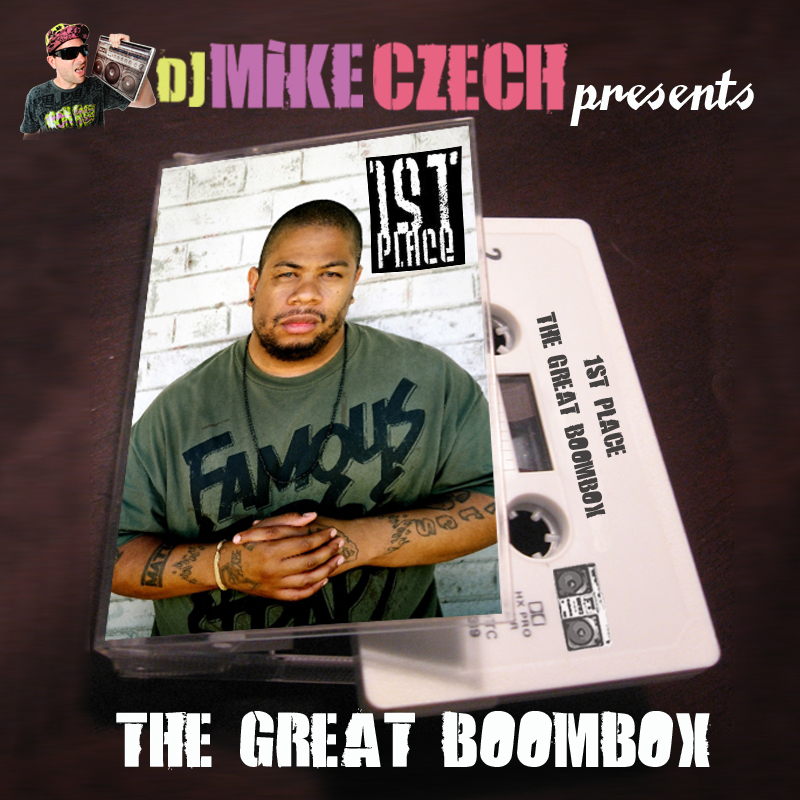 Mixed by Mike Czech of Scratch N Sniff, The Great Boombox boasts 10 original songs, no guest spots just that 1st Place flavor. We’re going real grassroots on this one; burn it for a friend, play it in the car or at a party, pass the link, post the link whatever you can do we appreciate it. I believe in this project, and think there is a lot of potential.